The outstanding contribution made by the people of the Netherlands to the technology of handling water is admirably demonstrated by the installations in the Kinderdijk-Elshout area. Construction of hydraulic works for the drainage of land for agriculture and settlement began in the Middle Ages and have continued uninterruptedly to the present day. 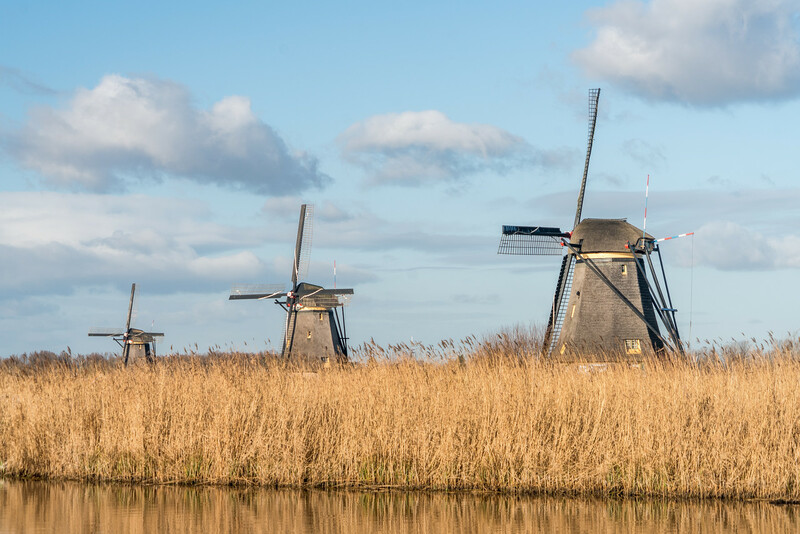 The site illustrates all the typical features associated with this technology – dikes, reservoirs, pumping stations, administrative buildings and a series of beautifully preserved windmills. When people say they are visiting the Netherlands, this would be the #1 thing I’d recommend they go see outside of Amsterdam. Kinderdjik is a stereotype of what people think of like the Netherlands and is actually a great history lesson on how the Netherlands was created. 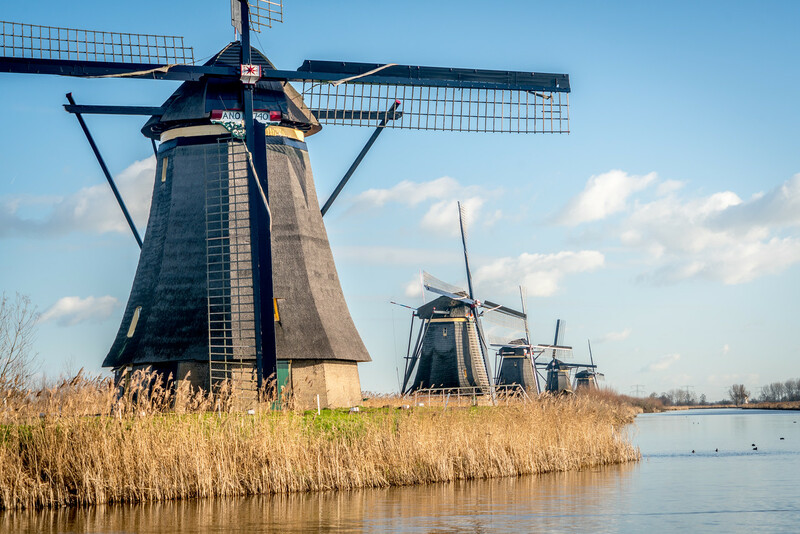 The Mill Network at Kinderdijk is composed of 19 monumental windmills located in the Netherlands’ South Holland province. These mills are part of the Kinderdijk village that was built during the early to mid-18th century. The main purpose of building these windmills is the keep water out of the polder. These windmills are the largest collection of windmills that you will ever find in the country. Since it was named as one of the UNESCO World Heritage Sites in the Netherlands in 1997, it has since become one of the top tourist attractions in the country. 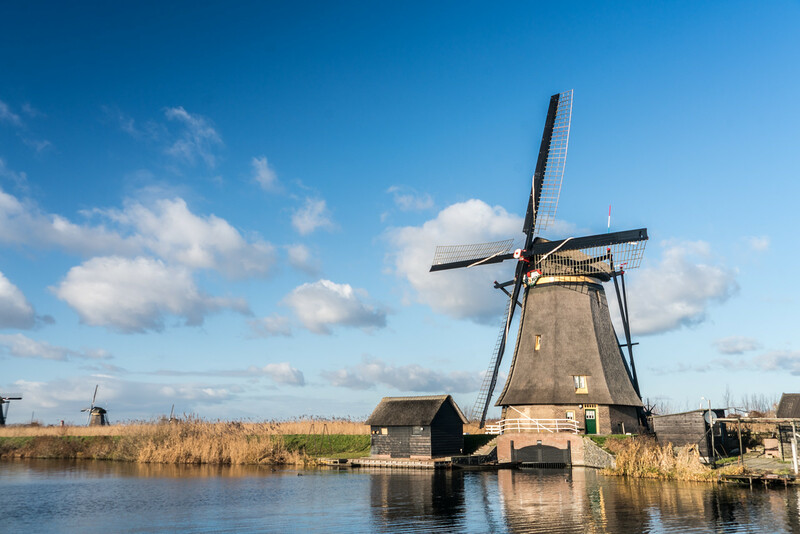 Aside from being named as a UNESCO site, the mill network at Kinderdijk is also considered a national monument. 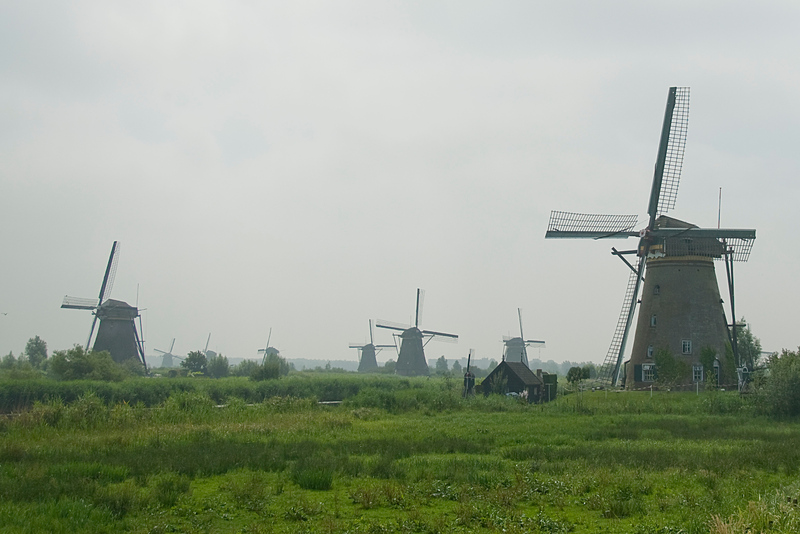 In fact, the entire area (including the windmills and its surrounding village) are protected since 1993. The main purpose of building the windmills in Kinderdijk was to improve the entire drainage system in the village. The location of the windmills is in a part of the Netherlands that lies below the sea level. They were designed to protect the village from overflowing water and to get rid of any excess water in the polder. By the 13th century, it was becoming apparent the water level rising has become an issue in the area. Large canals were initially dug in order to keep water at bay. But when the soil started to set, it only enabled the water to rise above the sand deposits. Over the years, new methods were tried out in order to keep water out of the polder. This is when a series of windmills were constructed by the 1700s. These windmills were responsible for pumping water into a reservoir, which could then be pumped back out into the river once the water level is low enough. There are seasonal and tidal variations that could impact the level of the water in the river. Hence, these were taken into account when managing the water level using the hydraulic pumping technology that was introduced with the construction of these windmills. In 1927, a new diesel pumping station was developed on a site that does the real job of managing the water level in the village. The last time that the windmills were operational was during World War II. However, due to the fuel shortage experienced after the war, the windmills could no longer be used. However, these windmills are operated during summer months wherein the amount of tourist visits to the site is at its peak. One of the 19 windmills has been turned into a museum. There exhibits within this museum that showcases how the millers and families in the 18th century lived. There are also walking or cycling tours available along the canals. This will enable tourists to take photos of or experience the landscape surrounding this extensive mill network at Kinderdijk. I felt like being in a tourist trap!! !so commercial!! !only souvenir shops, you feel like watching a show. Your picture is so powerfull, windmills really!!!! 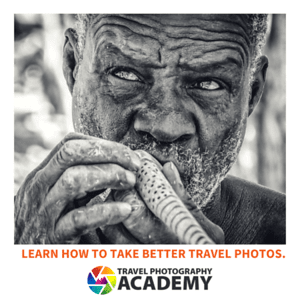 Hi Gary, nice photo! I was there just last week and totally agree that it is one of the nicest places to visit in the Netherlands. As a coincidence, I also wrote about it on my blog just a few days ago.